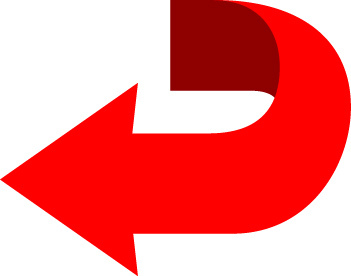 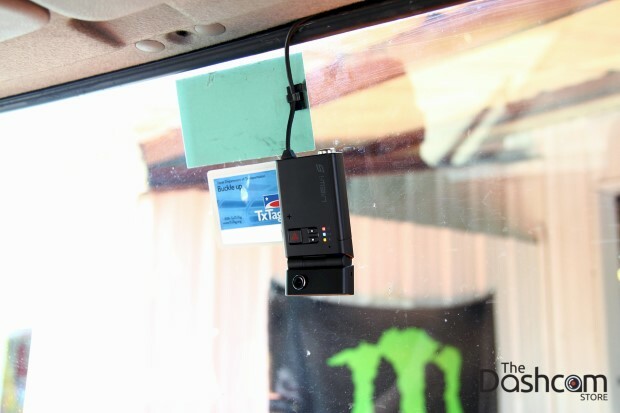 To view additional instructions for performing an installation such as this, please view our advanced dashcam installation how-to. The vehicle being outfitted with the "Dashcam Defense": a Hino 258 J08E flat-bed tow truck. 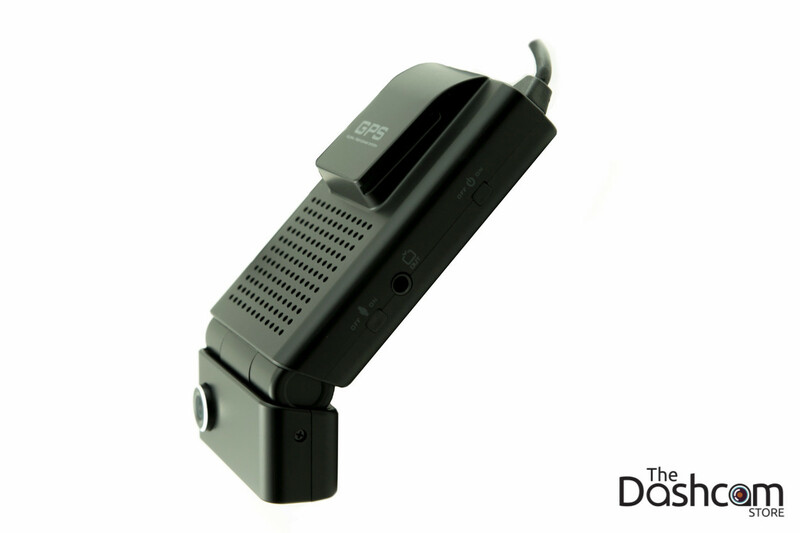 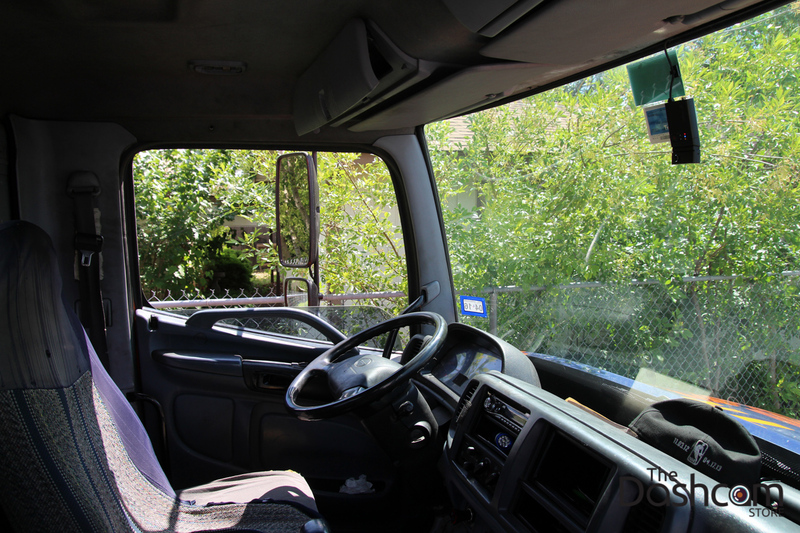 Exterior shots of the tamper-proof AVIC dual-lens dash cam in the tow truck. 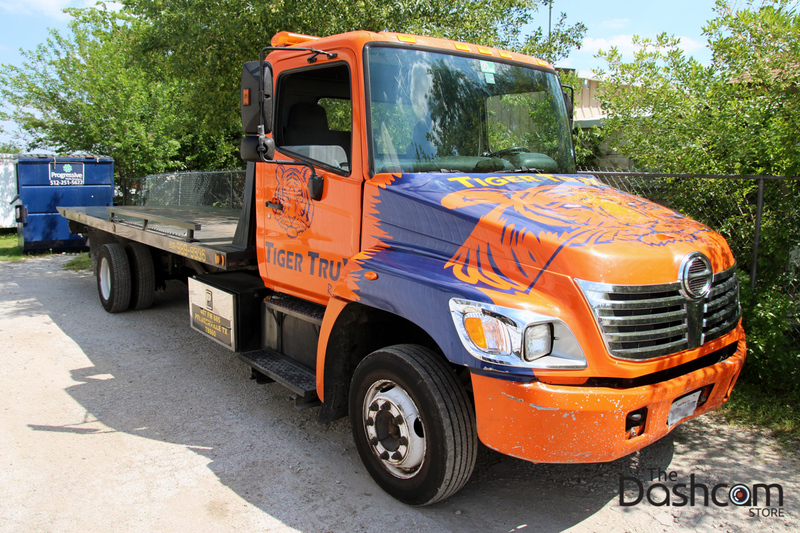 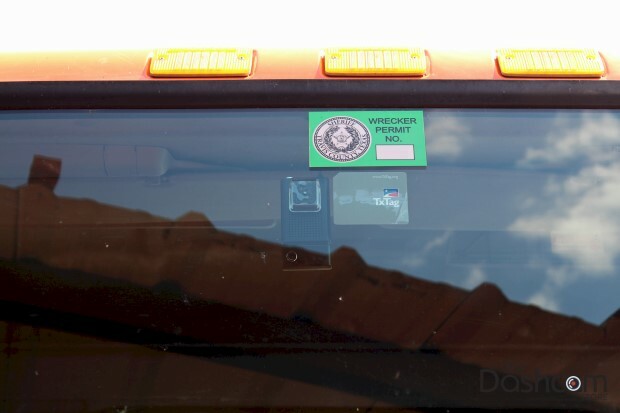 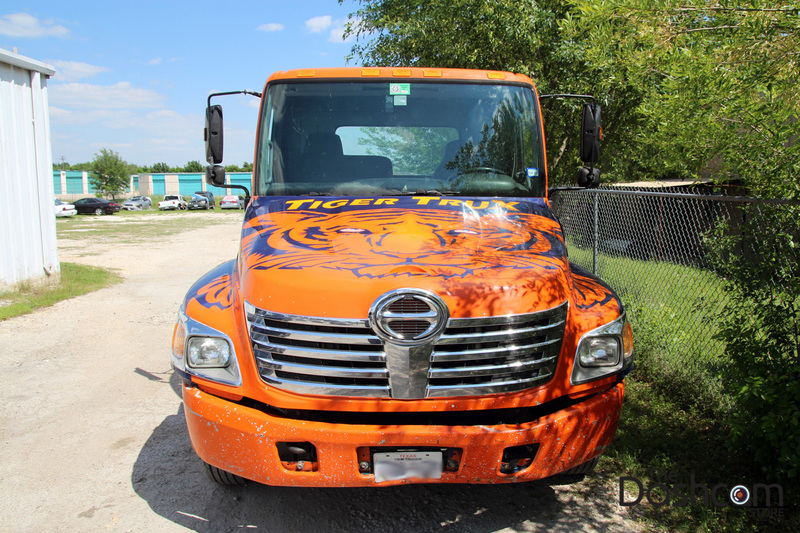 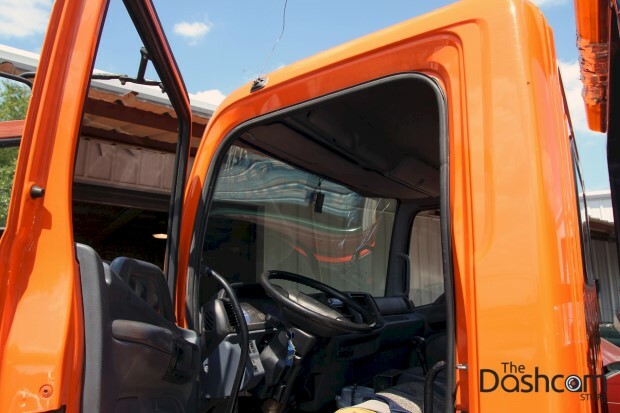 See how it's fairly inconspicuous from the outside of the wrecker! 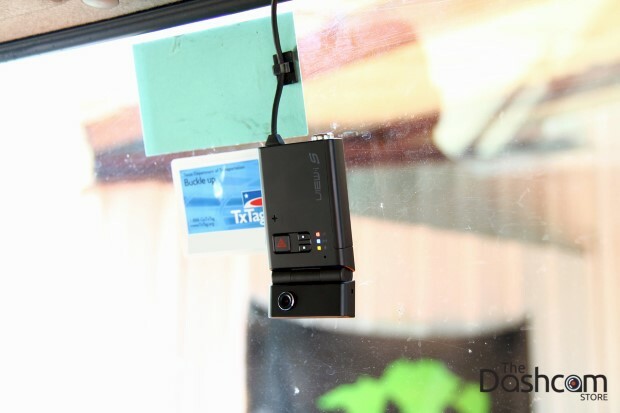 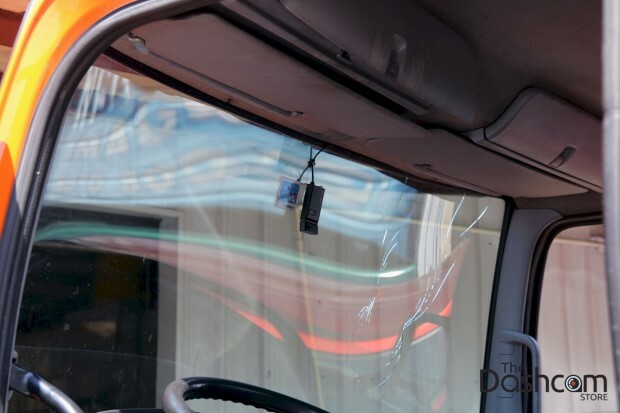 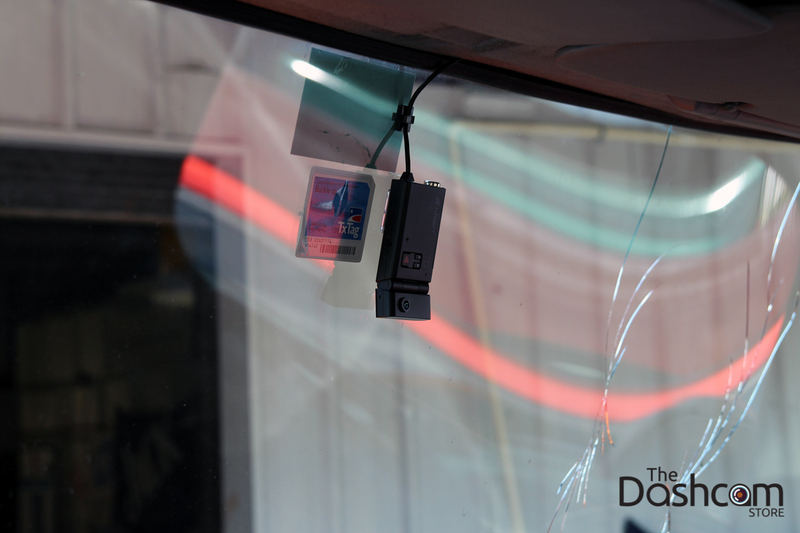 Interior shots of the tamper-proof AVIC dual-lens dash cam in the tow truck. 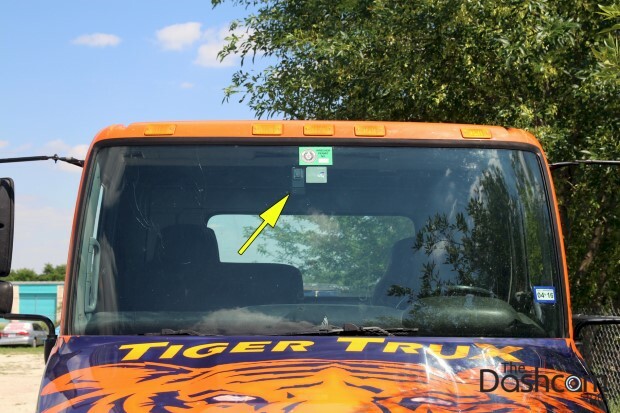 Note how it's completely out of the driver's line of sight, and there is no screen to distract the driver! Also, there is nothing that can be unplugged, and the memory card is locked safely away inside the unit. 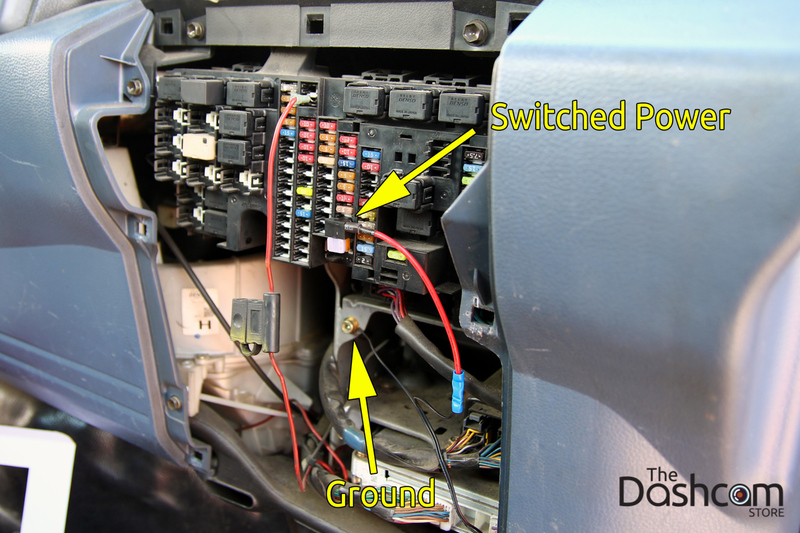 Simple two-wire installation: switched power and ground. We include a free fuse tap to help make installation even easier! Click on this link to learn more about the reliable, tamper-proof and hard-wired dual lens AVIC HD-SL-Dual dash cam.